Welcome aboard to our new Scottish Rite Brothers from the Spring Class of 2012. I had the opportunity to meet and talk with all of members of this class and I was impressed by their sincere interest in the messages of our degrees. I am confident they will be active and productive members of our valley. 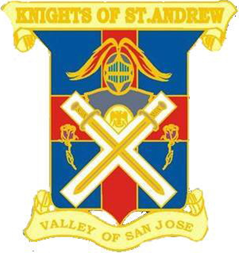 Several have already signed up to be on various degree teams and many in the class attended our May Scottish Rite Night of Instruction/ Agape and the May Stated Meeting. They are off to a great start! I want to commend to our new Brothers, as well as all my other Scottish Rite Brothers, the Master Craftsman Courses I and II. Conducted by the Supreme Council, these courses are a most valuable tool to enhance your understanding of our degrees and the many lessons they teach. 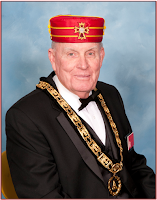 If you go online to www.scottishrite.org and click on Store you can learn more about the courses. The text will be one of your best sources for understanding our ritual. The readings associated with each degree expand and expound on the degrees and are particularly worthwhile. Take a look. One such reading titled the “Legend” is included as part of the readings of the Fourteenth Degree, Perfect Elu. There are many interesting ideas and lessons in this reading. 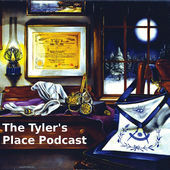 One I found to have great relevance to modern day freemasonry in the United States and probably throughout the world. The “Legend” relates how after the completion of the temple many masons traveled into other countries and in a few years the Jewish architects and initiates were to be found in every part of the then known world. They admitted many into the order and passed on its truths and duties. For a long time, the Grand Elects, Perfect and sublime Masons were wisely cautious to admit none but “proper” persons who could appreciate the true purposes and objectives of the Craft. But, by degrees and over time, the Master Masons began to teach only the “lesser mysteries” and narrowed their teachings. The symbols began to be interpreted so as to meet a lower level of comprehension and appreciation. The masons were so geographically spread abroad that men were “indiscriminately” admitted, almost without inquiry. It was forgotten that masonry was not meant to be a popular organization but a select and exclusive institution. Could our ancient masters have meant this as a cautionary tale for those of us who follow in their footsteps? We can all relate the Fourteenth Degree Legend to the charge we received in the first degree. Here we are told to refuse to recommend anyone for participation in our fraternity unless we have good reason to believe he will reflect honor on our ancient craft. only a few deserve the privileges of masonry. We must keep in mind that some good men will service their fellow creatures in organizations like service clubs, the church and many other worthy groups. Although, there are many good men that we all know - only a few deserve and seek the mysteries and privileges of masonry. Looking ahead, please arrange your calendars so you can attend the July 10th Stated Meeting and reception for the Grand Master. The evening will feature a traditional festive board which is always interesting, entertaining and refreshing with good food and drink. Hope to see you there. You can find all the details for this event elsewhere in the Rite Word.